This was my first time making a bag, first time working with denim, and also my first time doing any complicated applique work. 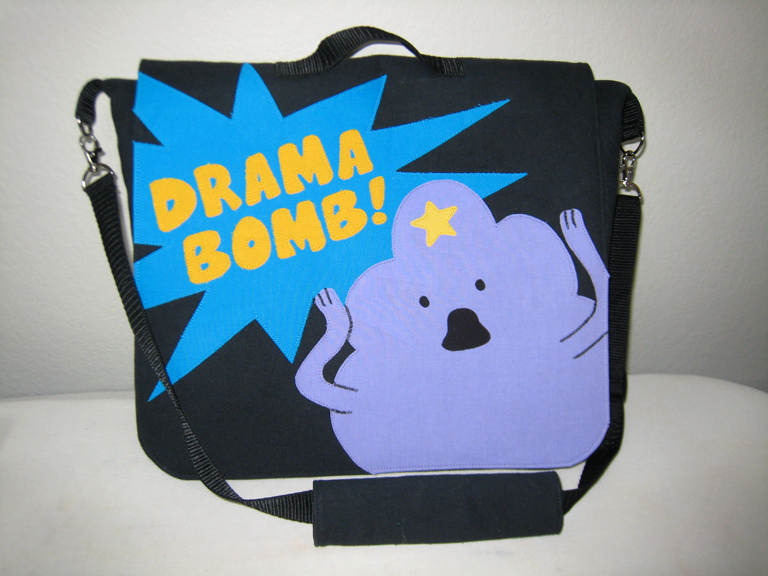 It was for an Adventure Time craft swap where my partner’s daughter wanted a new bag for school and she liked Lumpy Space Princess. All the applique is hand cut (with an Xacto knife on the letters, scissors for everything else) and machine stitched down. I would change some parts of the construction when I make another bag like this, but I’m still really pleased with how it came out.